Before installations are put on our website, we will be posting them here, giving you a first look at new projects. We are excited to share these nine recent installations with you! 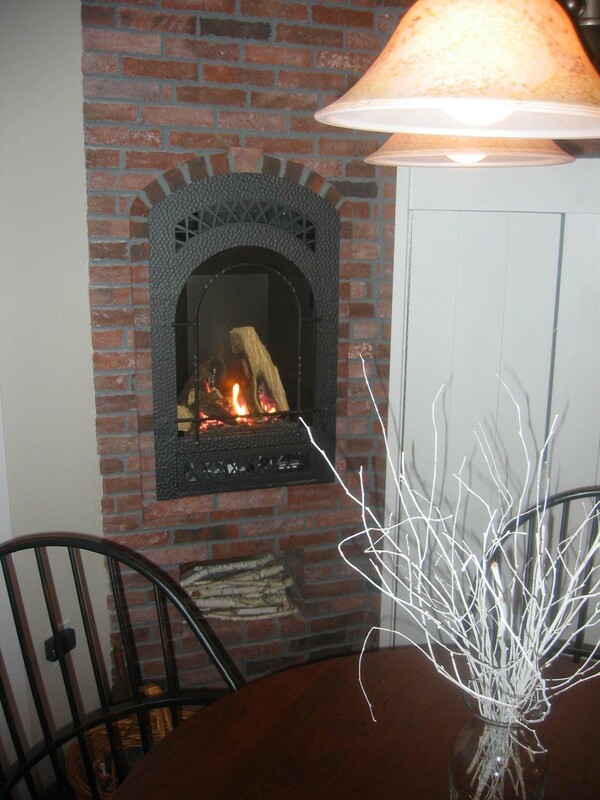 Wall Installation: Lancaster Running Bond 2×8″ brick tile: Custom color mix including many white and fire-scorched pieces. 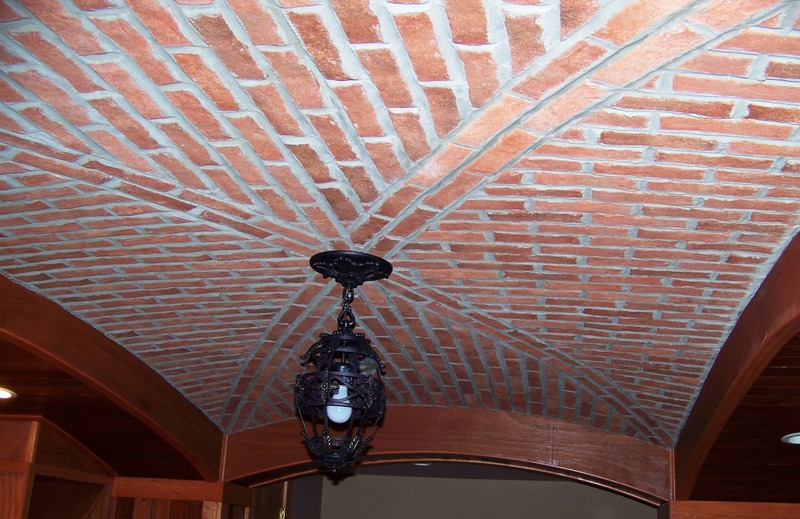 Arched Ceiling in a Home Bar: Lancaster Running Bond 2×8″ brick tile: “Old Strasburg” color mix. 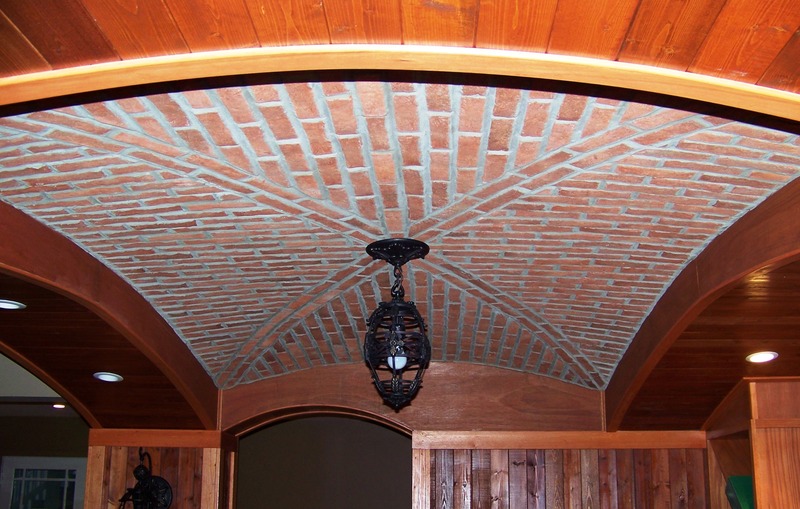 Second photo shows a closeup of the arched ceiling. 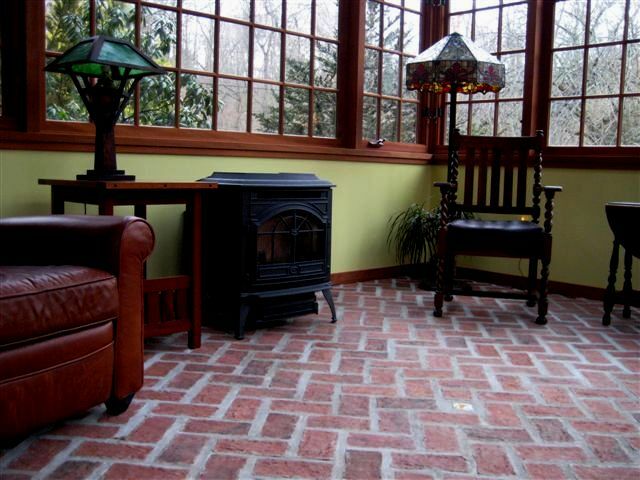 Sunroom floor with Accent Tiles: Wright’s Ferry 4×8″ brick tile: “Marietta” color mix. Second photo has tile accent piece detail. 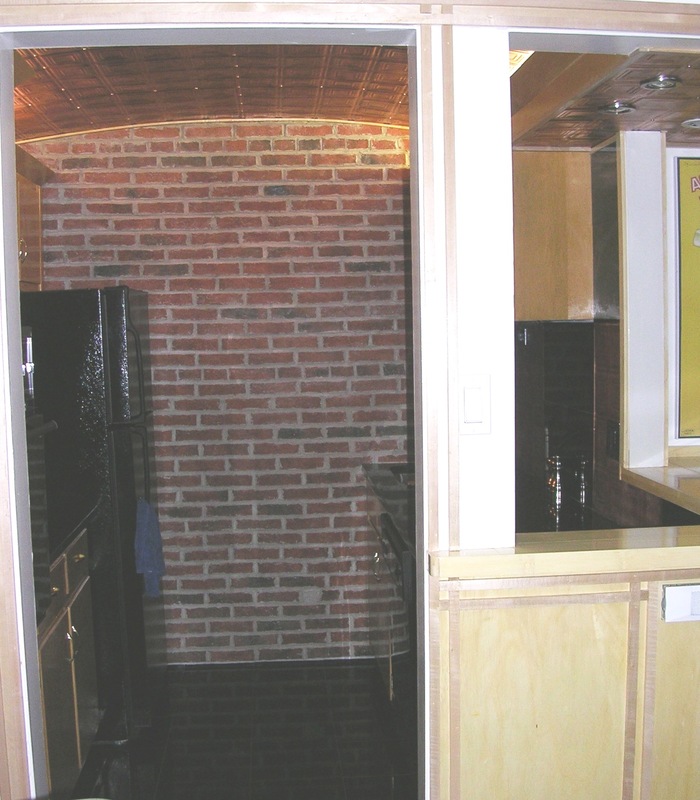 This project used a wide grout line with its herringbone installation pattern. 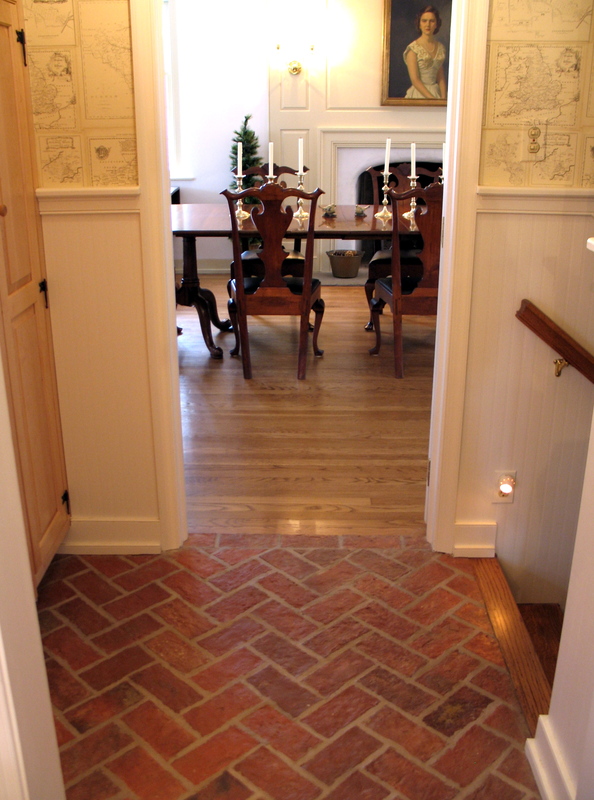 Entryway floor: Wright’s Ferry 4×8″ brick tile: “Old Strasburg” color mix. 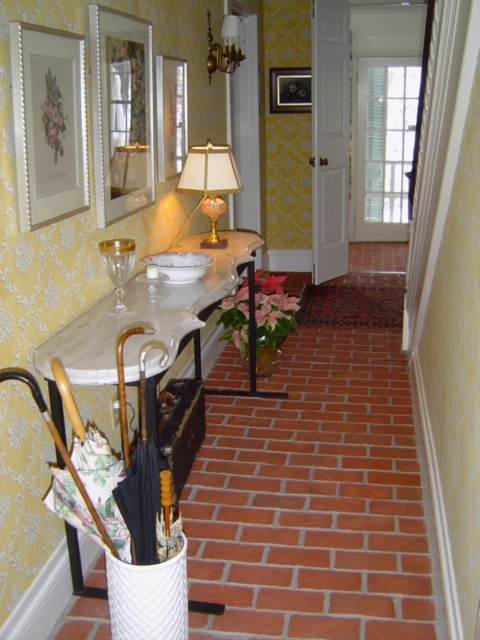 This installation in running bond pattern extends through the hall into the front vestibule. 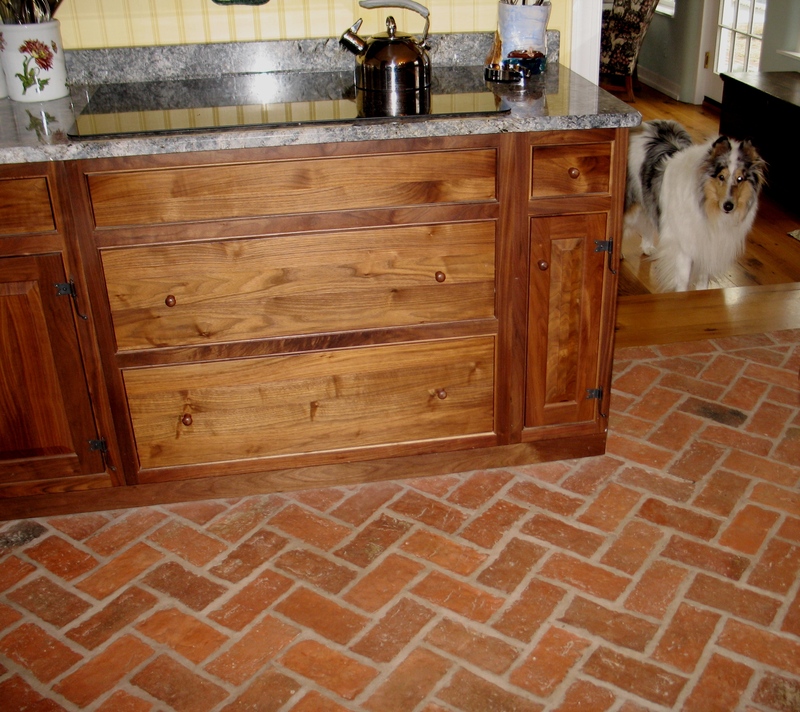 Kitchen Wall and Floor: Wright’s Ferry 4×8″ brick tile laid on the floor in Basketweave pattern: Marietta color mix. 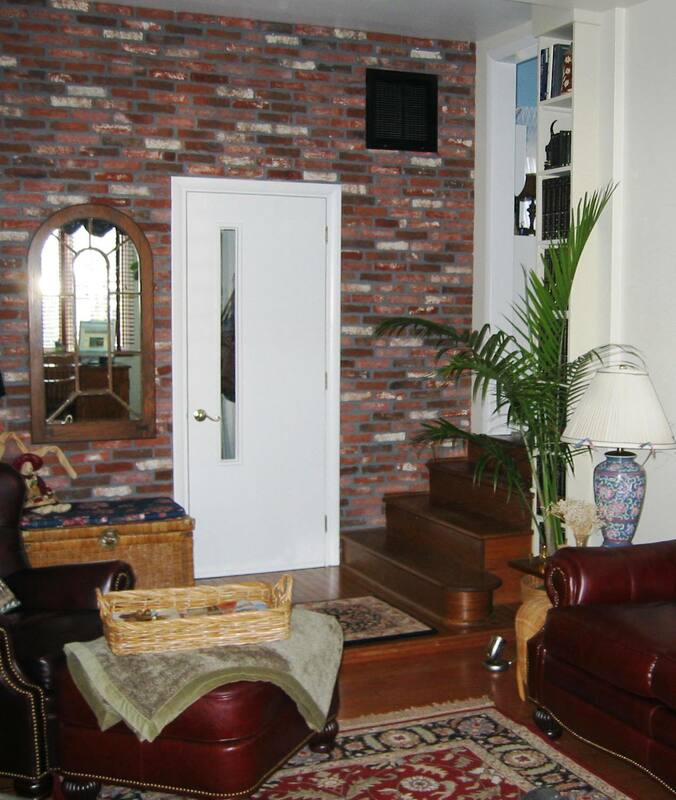 On the wall, Lancaster Running Bond 2×8″ brick tile: “Marietta” color mix. 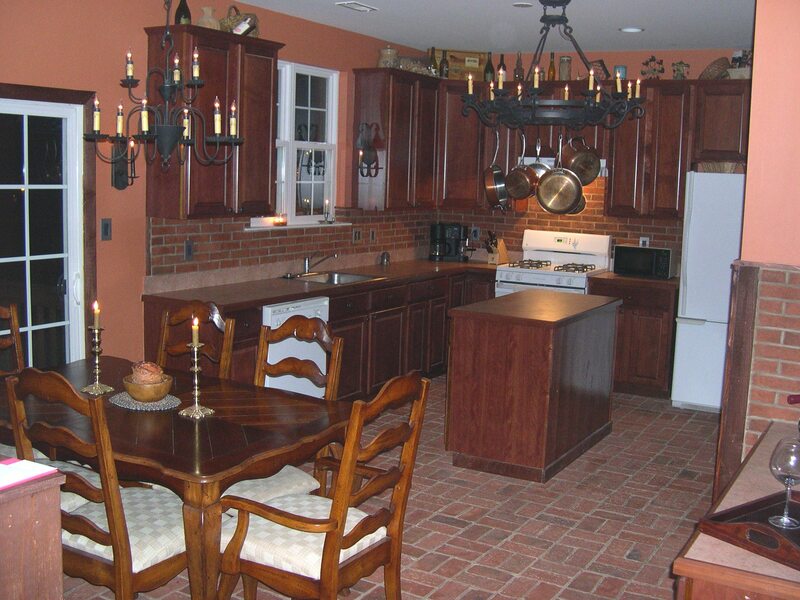 Kitchen Backsplash and Gas Fireplace surround: All portions of the installation use 2×8″ Lancaster Running Bond brick tile in a custom color mix. 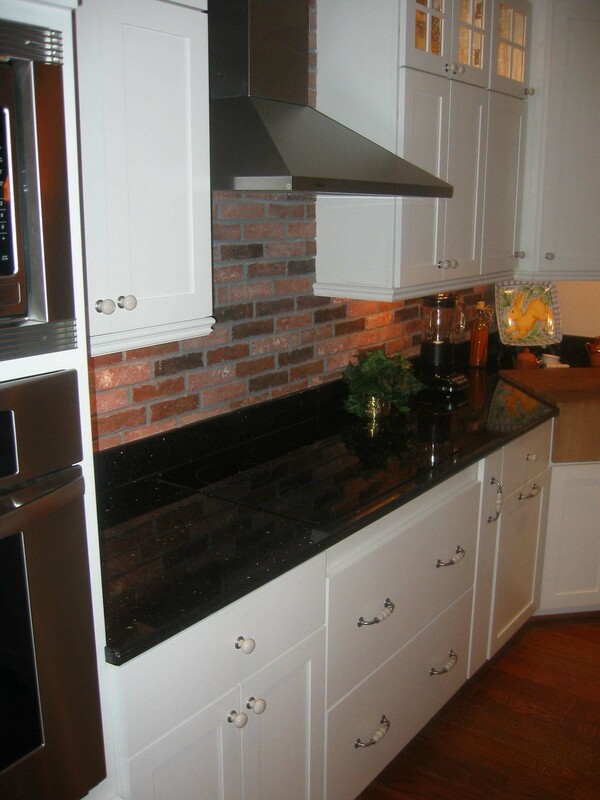 Kitchen Nook: 2×8″ Lancaster Running Bond brick tile: “Marietta” color mix. 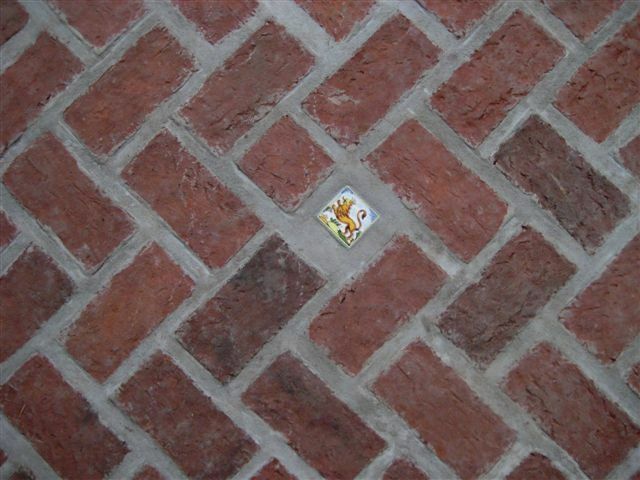 Kitchen floor: Wright’s Ferry 4×8″ brick tile: “Marietta” color mix. 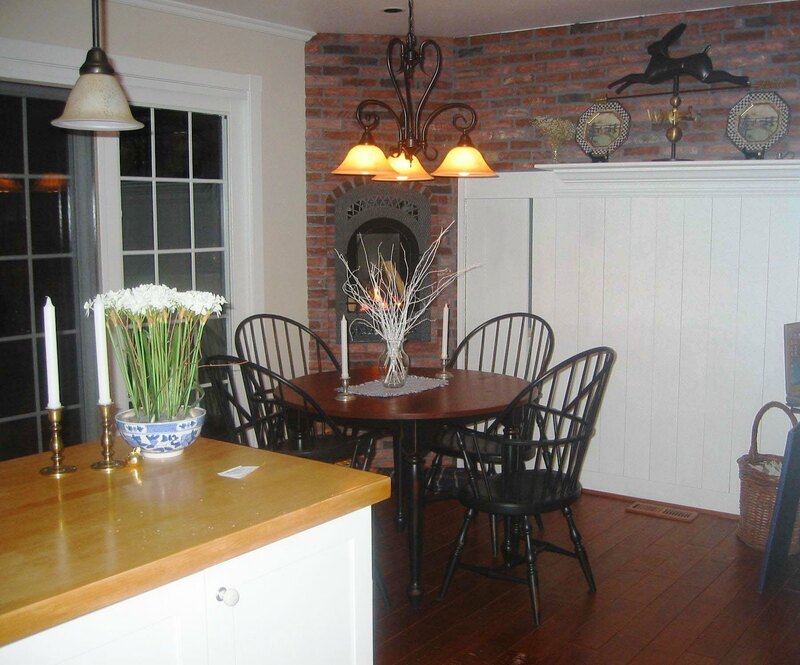 Second photo shows the transition from the brick tile to the dining room’s wood floor. 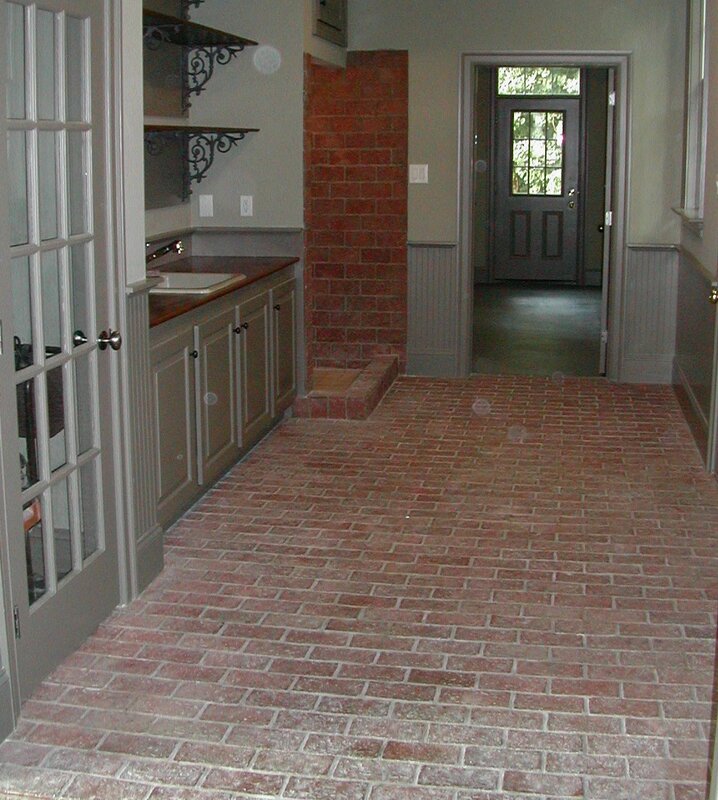 Mudroom: Wright’s Ferry 4×8″ brick tile: custom color mix. This installation left grout in the tile texture, adding to the mudroom’s rustic look. Notice the great “dog shower” in the back left hand area! 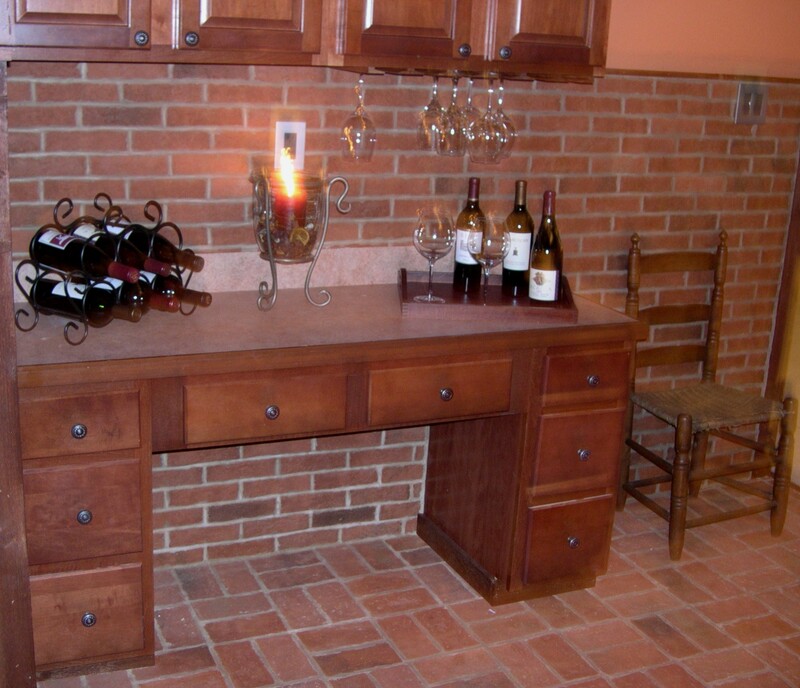 Visit our website: www.inglenooktile.com or call 717.442.0514 for more information. Posted in Ceiling installations, Installation photos, Kitchen, Lancaster Running Bond 2x8" brick tile, Marietta color mix, Mudroom, Old Strasburg color mix, Sunroom, Tiles, Traditional Antique 4x8" brick tile, Wall installations, Wright's Ferry 4x8" brick tile and tagged 2x8" Brick tile, 4x8" Brick tile, Arched ceiling, Brick tile, Dog shower, Entryway, Fireplace surround, Home bar, Installations, Kitchen Backsplash, Kitchen floor, Lancaster running bond, Marietta, Mudroom floor, Old Strasburg, Photos, Running bond, Sunroom floor, Thin brick, Wright's Ferry on June 3, 2008 by Inglenook Tile Design. ← New Brick Tiles for Spring!